Whatever your web application hosting needs are… we can help. Contact us today to learn more! 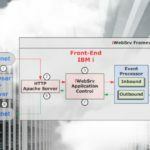 Help develop web applications on your IBM i with iWebSrv: get you started or help you expand your web applications on your IBM i. Help develop your web applications on iInTheCloud with iWebSrv: employ or develop your web applications on iInTheCloud. For whatever reason (capacity, resource, firewall, etc.) you may need an alternative to your IBM i for web applications — www.iInTheCloud.com is the answer. Help develop your web applications using your IBM i and iInTheCloud with iWebSrv: you may need a combination of the above two solutions — and maybe even some file or database synchronization between the two systems.